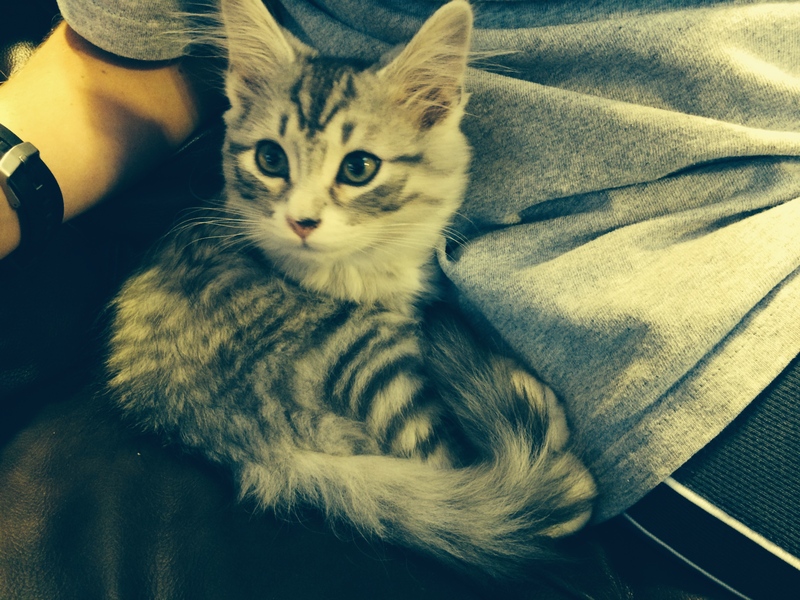 Meet Our New Kitty, Silver! 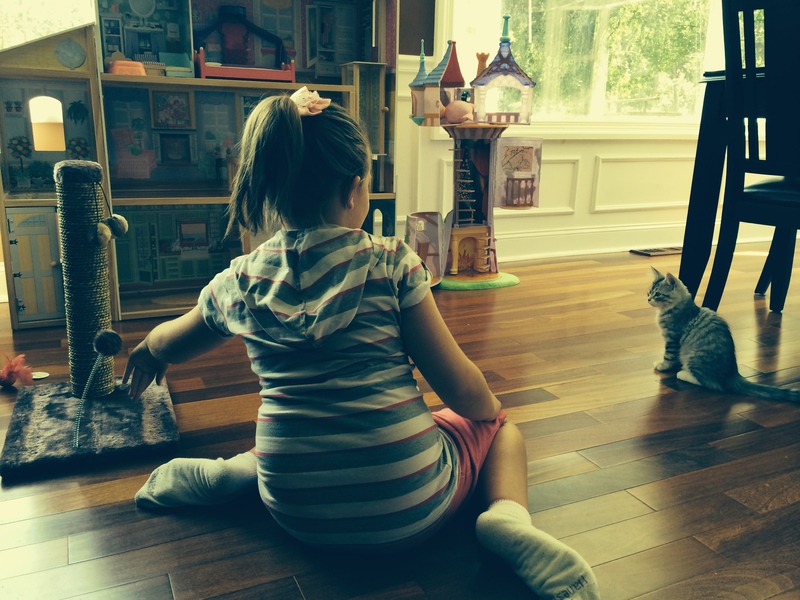 We welcomed a new kitten into our home last Friday. We have ALL been enjoying Silver, SO much! It has been interesting just how much having a 12 week old kitten around changes the dynamics in the house. 🙂 We all love cats so this has been very exciting! Some of you may be interested in seeing some pics. These are for you! 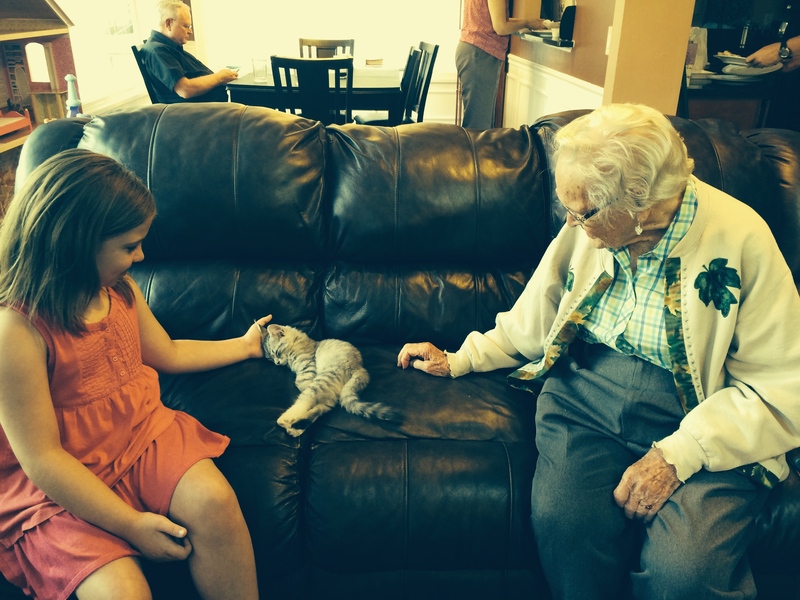 My 94 year old Grandma was SO excited to meet our new kitty! Am I Trapped by Material Things?